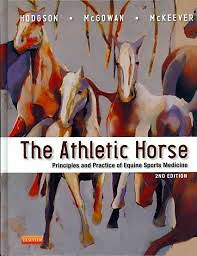 Showing how to maximize performance in horses, The Athletic Horse: Principles and Practice of Equine Sports Medicine, 2nd Edition describes sports training regimens and how to reduce musculoskeletal injuries. Practical coverage addresses the anatomical and physiological basis of equine exercise and performance, centering on evaluation, imaging, pharmacology, and training recommendations for sports such as racing and show jumping. Now in full color, this edition includes new rehabilitation techniques, the latest imaging techniques, and the best methods for equine transportation.